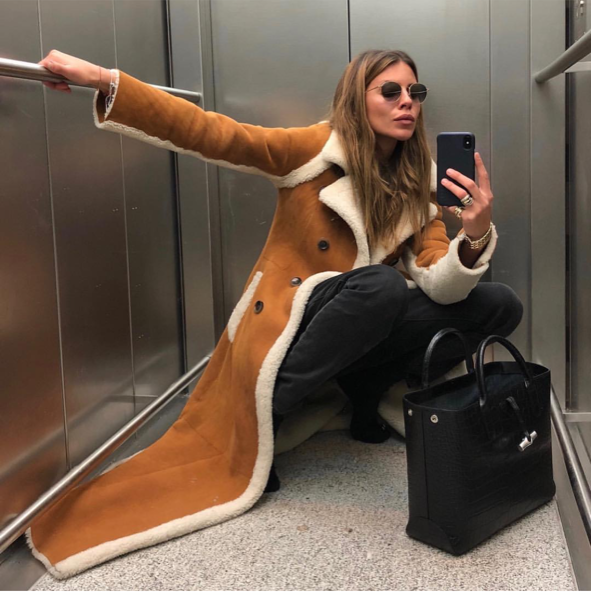 I follow a number of chic women on Instagram who photograph themselves in elevators. 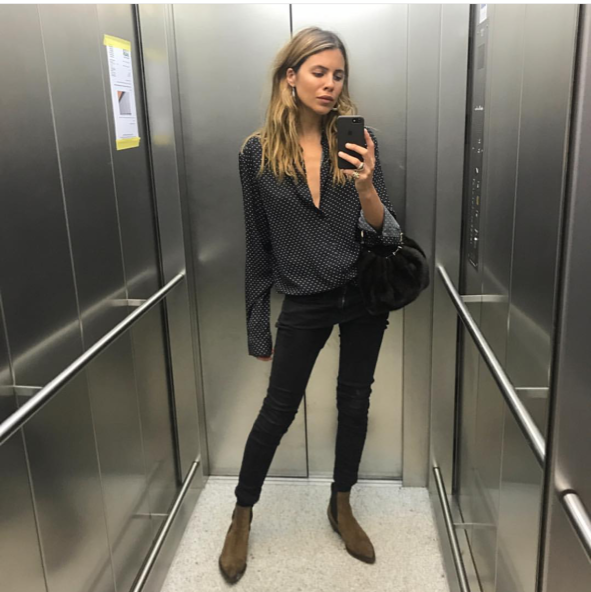 One of my favorites, Maja Wyh, is a stylish influencer with great taste in art. Here’s a Q&A with Ms. Wyh on Matches Fashion. I’m enamored. What a sense of style. 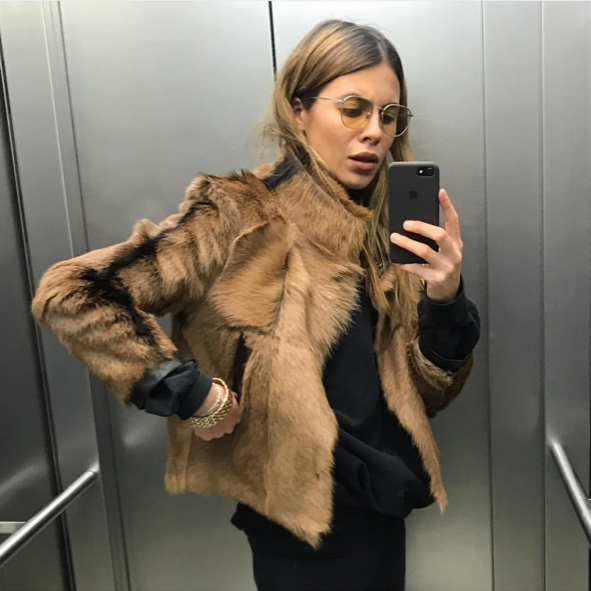 I immediately started following her as well, and I would love to know more about her fur jacket in the first shot you posted. What is that – coyote? Preston, who else do you like to follow? Thanks! Ahhhh I’m so inspired by her personal aesthetic. Love it. So cool! I’ve been following her for years, even bought a couple of gorgeous (and huge) silk scarves she did with Vyvyn Hill. Maja is unique in the best way. I am always impressed by people who can pull off mirror selfies without looking like idiots! Wow, what a style inspiration! It’s hard to find authentic winter styling. It drives me nuts seeing sweaters and coats paired with open toed shoes and such. Thanks for sharing, it’s 2 in Chicago today and I am feeling far from fashionable! Thank you for introducing her feed. It’s nice to find stylish women in outfits that are more situationally appropriate for my calendar. 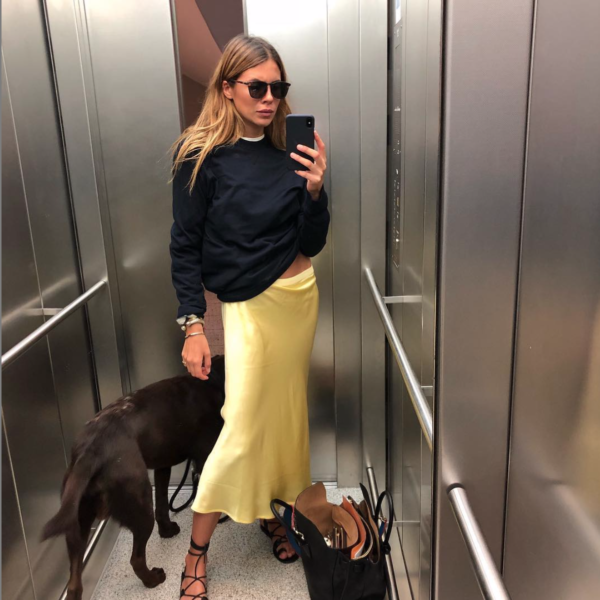 I hate selfies!…And btw, she must have been in that elevator a long time, judging from the growth of that puppy from photo #3 and photo #5!